It would be nice to mark property with attribute (something like [NotifyPropertyChanged]) instead of writing that repeatable code over and over again. I don't see any profits from [CallerMemberName] attribute. It only makes c# code more magical. 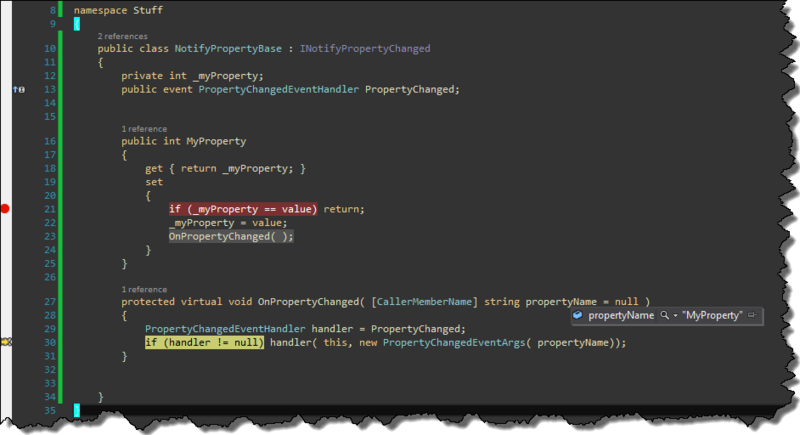 Using Resharper 8 it's easy to transform autoproperty into property with backfield and with invocation of OnPropertyChanged . Microsoft modified the language only to facilitate writing in WPF framework (I suppose). I think it's wrong way. They should modified WPF instead of C#.